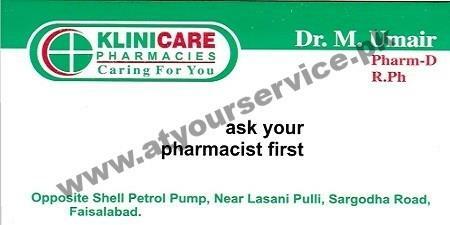 Klinicare Pharmacies is located on Sargodha Road, Faisalabad. We are running a pharmacy under supervision of pharmacist in which we take good care of medicines quality. We provide free medical counseling to patients. We also sell vitamin supplements and herbal medicines.